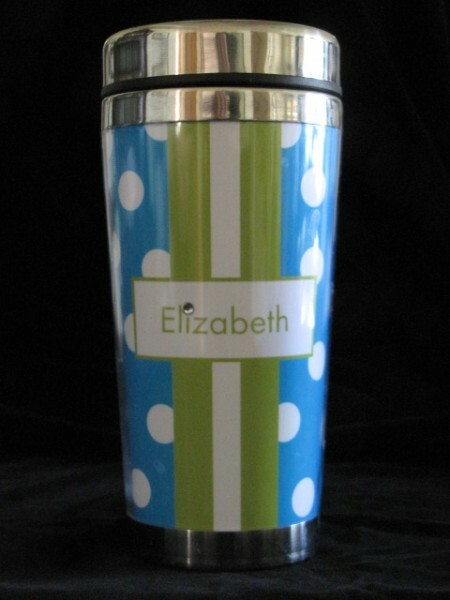 Travel mugs can be created in a variety of colors and patterns personalized with a name or initial. Perfect for the graduate heading off to college or the graduate heading off for their morning commute! They retail for only $20.00. Call or email to place your order!